In Zimbabwe, Lacoste is synonymous with a faction of ruling Zanu PF party politicians loyal to sitting President Emmerson Mnangagwa that managed to vanquish ex-leader Robert Mugabe in unprecedented fashion, courtesy of a soft military coup. The Lacoste faction won a long drawn out succession battle against Generation 40 cabal fronted by exiled former top government bureaucrats, Saviour Kasukuwere, Jonathan Moyo and Patrick Zhuwawo and enjoyed the backing of former first lady, Grace Mugabe. Mnangagwa, infamous for possessing crocodilian traits characterised by patience, endurance, might and sheer ruthlessness, is nicknamed Crocodile, hence the tagging of his loyalists as Team Lacoste. But in Zimbabwe many people, including politicians themselves, are ignorant of the origins of the Lacoste label and how it came to be used in political circles. 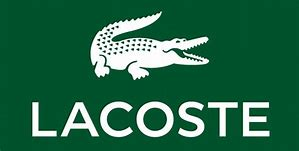 Lacoste is a fashion label whose emblem or logo is a crocodile. This week a fundamental change occurred in the industry. Lacoste has reportedly replaced its signature crocodile with a series of different species, to raise awareness of the plight of endangered animal species. "The crocodile is leaving its iconic spot to 10 threatened species through a partnership with the International Union for Conservation of Nature," the brand revealed on Instagram. "The number of polos produced for each series corresponds to the remaining population sizes in the wild. By buying one of the 1 775 polos, you participate in helping IUCN and Lacoste in the fight for wildlife conservation worldwide." Among the species featured are the Sumatran tiger, the Javan rhino and the Kakapo parrot, with proceeds from sales of the shirts aiding the International Union for Conservation of Nature's (IUCN) work around the world. This is the first time in Lacoste's 85-year history that the crocodile has been replaced, and marks the start of a three-year partnership between the fashion brand and the IUCN. The label's autumn/winter 2018 collection, which was paraded on the Paris Fashion Week catwalk last week, also featured a series of prints incorporating images of the world's 10 most threatened species.-Online/ James Muonwa.-ENTERTAINMENT.